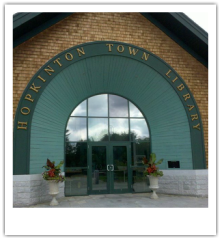 Project Snapshot is a joint effort of the Hopkinton Historical Society and the Hopkinton Town Library to take a giant "snapshot" of our town in 2015. We are trying to gather as many family histories and photos from our town’s 5,500+ citizens as possible. Take the online survey and take a few minutes to answer the questions and submit your photos. Or, click on the PDF version to print out and complete the survey. Attach additional pages if needed. Check out the photos submitted so far! All this (and more) is available at the new Hopkinton Historical Society's website. Programs begin on July 1st. What is the Hopkinton READS! Program? Hopkinton READS! is a program designed to bring members of our community together to read and discuss the same book at the same time. As has happened here since 2002, a committee of community residents and the Library Director creates a ballot of book titles. Titles that appear on the ballot must meet certain criteria, such as: local interest, timeliness of topics, broad community appeal, topics which lend themselves to associated programming, etc. In May and June, the community is given the opportunity to cast their vote on the book of their choice. Ballots are available in the Hopkinton Town Library and on the library website. When all votes are counted and the title chosen, the committee proceeds with the planning of programs for October, and November. All programs are free and open to the public. By the beginning of September, copies of the title chosen are available for purchase at the library at a reduced cost. There are also copies of the book available for borrowing at the Library. The committee encourages input and participation of community members during the title selection process as well as during associated programming. Happy Reading! or come in to the library and fill out a ballot. 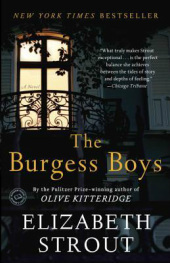 There are copies of the book available to borrow at the library's Reference Desk. at our book discussion blog. 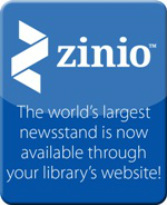 Visit the blog if you need help downloading books from OverDrive. You will need to create an account to access this service. Call or email the library for more info. You will need to create an account to access this service. Call or email the library for more information.